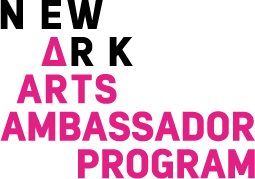 Become a Newark Arts Ambassador! We are always accepting applications for new volunteers! Do you want to make an impact on your local community, network, and gain exposure and knowledge of the rising Newark Arts scene? If so, then you are the perfect fit to become a Newark Arts Ambassador. Apply today to stay informed on future volunteer opportunities, especially for the Newark Arts Festival in October! In agreeing to this liability waiver, I certify that I am a willing participant in the Newark Arts Council volunteer program. I agree to work according to instructions I receive. I agree to behave in a responsible manner. I agree to perform only work that I feel comfortable in doing and that I feel I can accomplish safely. I grant permission to use individual and group volunteer photographs, films and videos of me for promotional or other uses furthering the mission of the Newark Arts Council, including use on the NAC website. I recognize that the opportunity to participate in the Newark Arts Council volunteer program may involve physical labor and may carry a risk of personal injury and I hereby agree to assume all risks which may be associated with my participation. I hereby release, discharge, waive and relinquish all claims, liabilities and damages I may sustain from bodily injury, personal injury or property damage and hold harmless the Newark Arts Council, its officers, directors, employees and agents.